Welcome to the Quality Airport Hotel Værnes, a full-service conference hotel that enjoys a unique location in the centre of Stjørdal. The hotel is just 5 minutes by car from Trondheim Airport Værnes and 35 minutes from Trondheim's city centre. Guests can take advantages of excellent bus and train services. Here at the Quality Airport Hotel Værnes, you can arrange a wide range of events such as creative meetings, inspirational seminars, exciting conferences and memorable kick-offs! The hotel's conference centre has 12 conference and meetings rooms for up to 500 people. All our meeting rooms feature modern technical equipment and our staff are committed to ensuring that your event is a success. 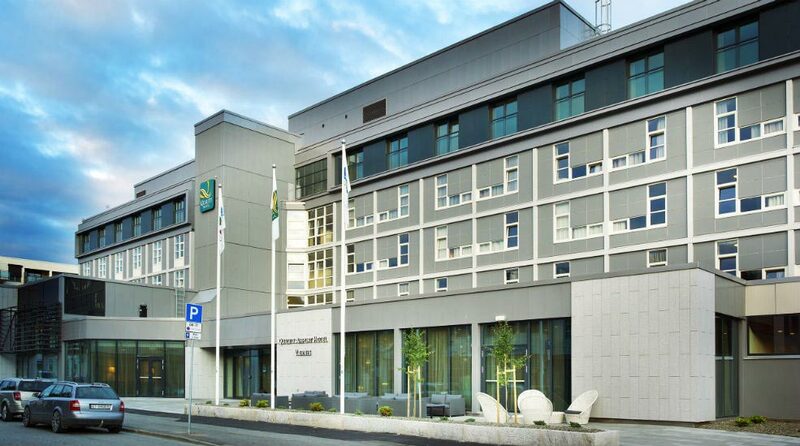 Our hotel's convenient location just 2.5km from Trondheim Airport Værnes makes it the perfect choice for conferences, events and functions in central Norway. Trondheim's city centre is within easy reach by bus or train. You'll also find a good selection of restaurants, shops and cultural attractions in Stjørdal, as well as fantastic natural surroundings! You don't have to go far for a good meal! Our hotel restaurant has a wonderfully relaxed atmosphere and you can come here to enjoy wonderful buffets and à la carte dishes. The hotel bar is just next to the restaurant - drop in for a drink or perhaps even a game of shuffleboard? Quality Airport Hotel Værnes is cash-free, which ensures added security for our guests and visitors. More information about this can be found under FAQs. Would you like to explore the city while staying with us? Read more about Trondheim here. Train to Stjørdal train station. We recommend Stjørdal Taxisentral, telephone +47 74 83 75 00.